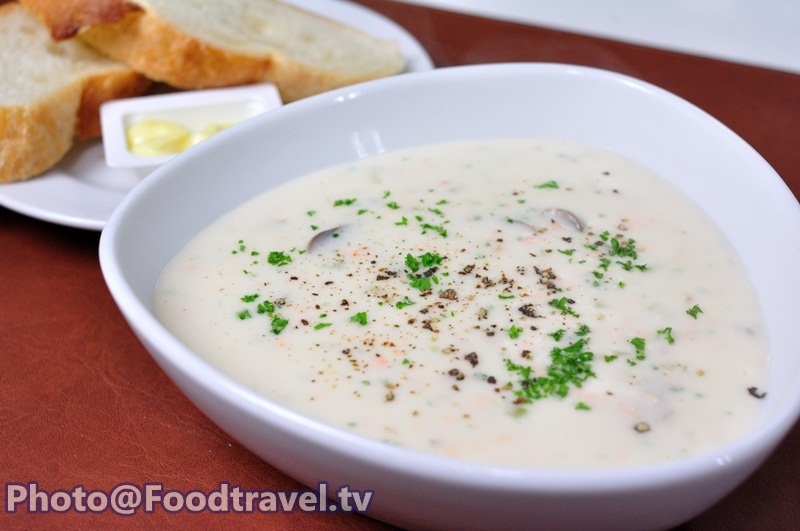 Salmon Cream Soup - This menu is not hard as you think. Actually you can serve yourself easily at home. It is delicious, with salmon in the soup which has low fat and rich in protein. 1. Heat soup to boil. Then boil salmon until cook. 2. Cut the fish skin off. Chop salmon meat. Set aside. 3. Fry butter, onion, celery. Then add mushrooms, salmon and chicken stock to boil. 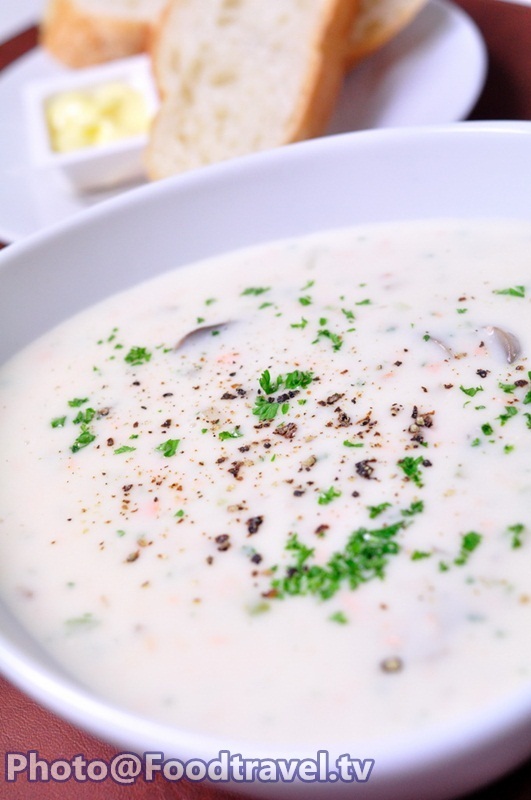 Salmon Cream Soup – This menu is not hard as you think. Actually you can serve yourself easily at home. It is delicious, with salmon in the soup which has low fat and rich in protein.